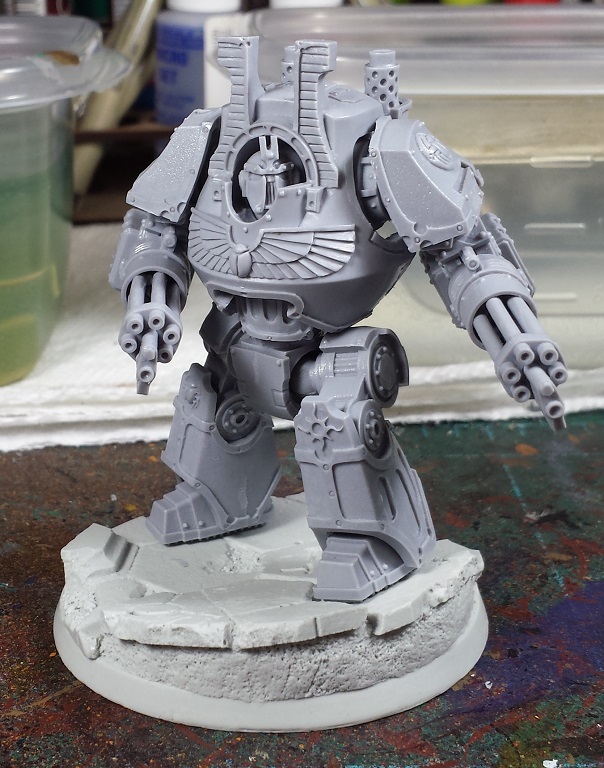 Mordian 7th Regiment: Heresy Era Thousand Sons - Reinforcements Arrive! A box o' joy arrived from Forge World yesterday evening containing a number of new goodies for the ever-changing Thousand Sons! I got everything into a soapy soak overnight and got it rinsed off and laid out to dry this afternoon. Everything was present and accounted for, and I once again have to note how much more professional the packing and quality checks have been in the last few orders. Excellent stuff. The loot includes a 10-man assault squad with the Achean upgrade kit, a mk.IV character set for conversion fodder, and a pair of the rather excellent new Thousand Sons Contemptors because how could I not? Of course, I couldn't help but jump right in and build something! 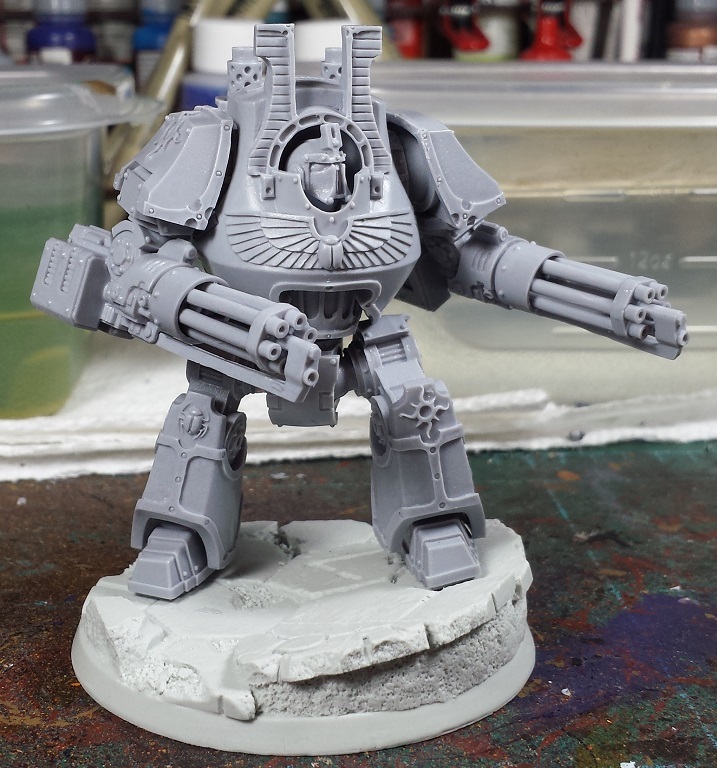 The plan at the moment is only to take one of the Contemptors to NOVA so that one gets built first - my personal favorite, a Contemptor Mortis with a pair of Kheres Assault Cannons. This will provide a modicum of anti-air support and is always good at mowing down squads of marines. I always love how much dynamism one can get out of the FW Contemptor kit, and while I do have plans for the ol' "Charging into melee" pose for the second one I thought a more solidly-planted pose would be suitable for the gunslinger. Rather pleased with how the pose turned out and I'm really looking forward to painting him up! Lovely work as ever chief and delighted to see more Thousand Sons on your blog. 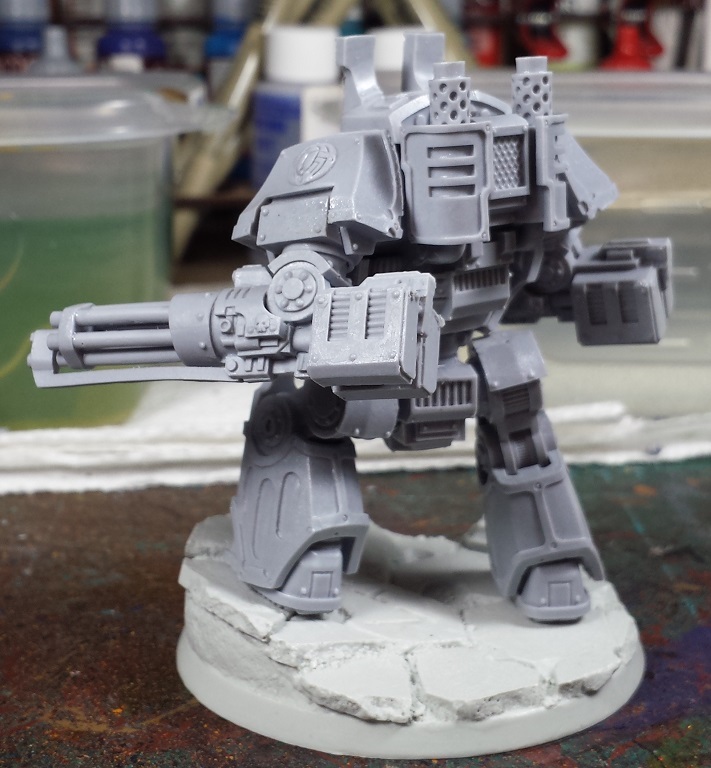 That dread model has always looked ace so I am looking forward to seeing what you can get out of it. O nice. Haven't seen the new 1k sons FW but I like what you've got here so far. The dreadnought looks great. What do you use to clean Forgeworlds models with. @Rory Priest: Thanks man! I love the Contemptor, it's just such a fun kit to build! @Dai: Cheers! 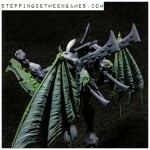 Can't wait to see FW's take on Magnus and Ahriman! @Davetaylor: When you absolutely, positively gotta kill every xenos-lover in the room, accept no substitutes! @Bulveye the Deathwolf: Thanks! I just use some Dawn dishsoap and warm (but not super hot) water, and usually let 'em soak for a few hours if not overnight. Then a rinse in cool water and a gentle scrub with an old toothbrush, takes a little time but it's worth it! @NafNaf: Indeed, I usually end up trying to 'do the pose' myself and then try to match it with the model's various joints. Helps to create a natural positioning to the various knees, hips, waist and arm joints.